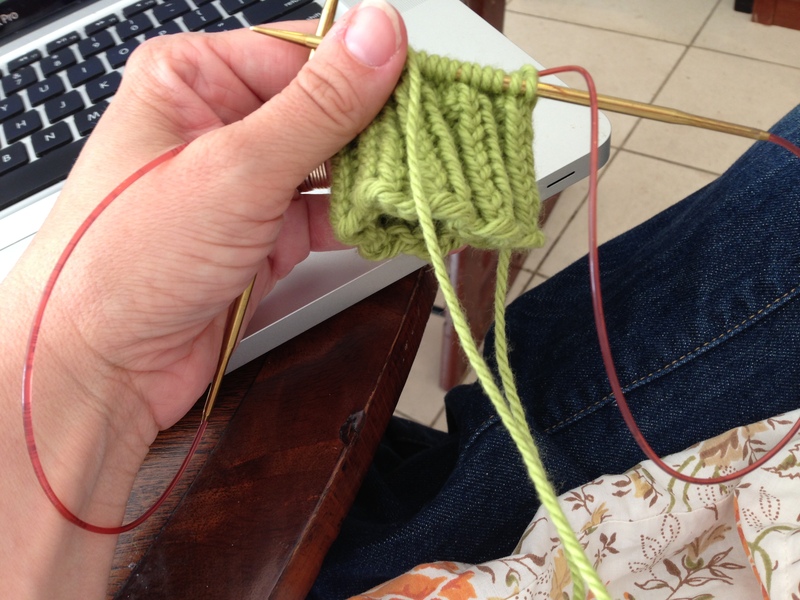 Right As Rainbow: At Last… | Knit Like You Mean It. …the day has arrived. We’re casting on for the Right as Rainbow cardigan knitalong! Catherine is blogging from Greece (ooh! aah!) and I am blogging from…our move. We are moving just a few miles away, but with a kitty and a one-year-old baby and perhaps a little bit too much yarn any move is kind of crazypants. Do send good vibes, won’t you? Ta da! I used the long-tail cast-on, as I generally do. What did you use? 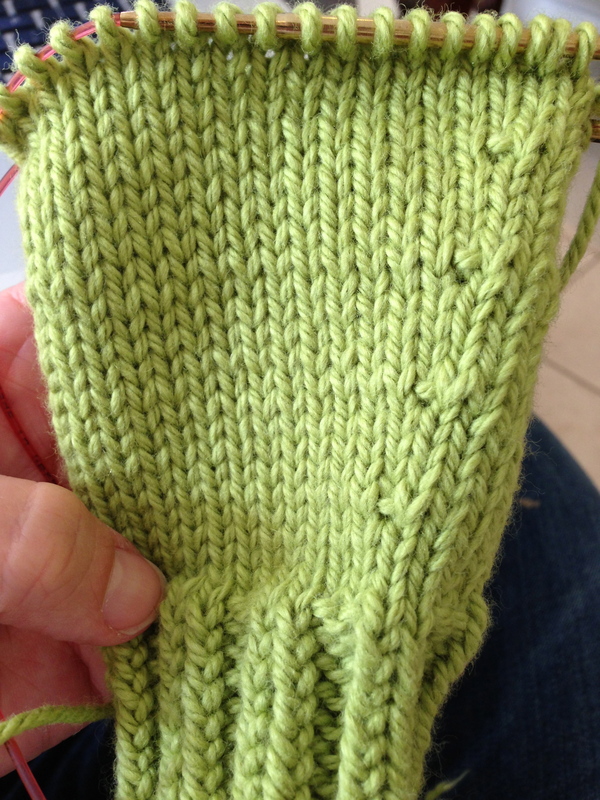 Can you see the bar increases (knit front & back) in the right edge of the sleeve? So – which are you using, magic loop or DPNs (or even two circs)? Have you settled on your colors? Tell us all about it on the discussion thread or my Facebook page, or in the comments below. Finally, giveaway news. The winner of the Alpaca Silk was Eva – congratulations! 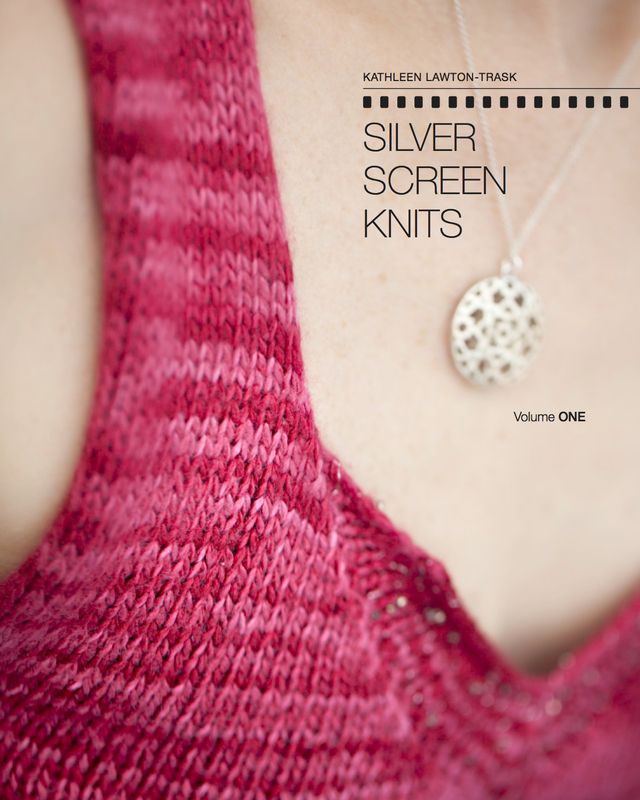 And don’t forget that you have until Friday to sign up for the Silver Screen Knits update list and be entered in the drawing for the Fyberspates Sparkle Silk.